With this design we wanted a home that was narrow, yet still had curb appeal. Inside the home we emphasize family living. A 2 story entry is what you see when you enter the home, while an open kitchen helps maintain a comfortable feel with views into the family room and breakfast nook. As you continue upstairs, the second level offers 4 bedrooms and a 2nd level laundry. The master suite has a boxed ceiling and a luxury master bath with a large walk in closet. 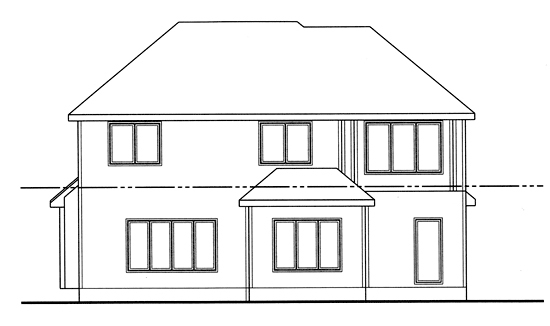 ·Exterior Elevations: Shows the front, rear and sides of the home including exterior materials, details and measurement? ·Floor Plans: Shows the placement of walls and the dimensions for rooms, doors, windows, stairways, etc. for each floor? ·Electrical Plans (HOUSE PLANS ONLY, NOT GARAGE PLANS): Shows the location of outlets, fixtures and switches. They are shown as a separate sheet to make the floor plans more legible. 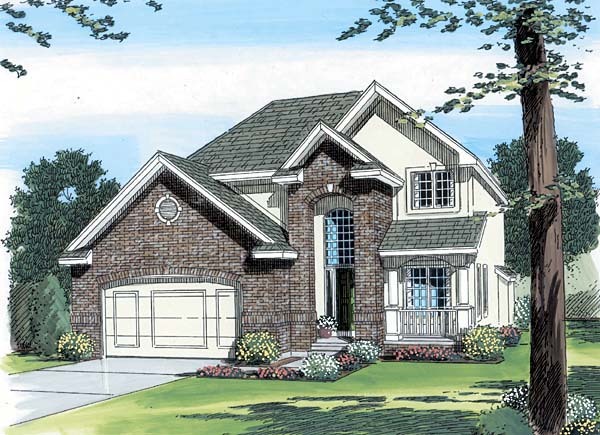 ·Foundation Plans: will include a basement, crawlspace or slab depending on what is available for that home plan. (Please refer to the home plan's details sheet to see what foundation options are available for a specific home plan.) The foundation plan details the layout and construction of the foundation. ·Cabinets are shown on most but not all plans. If cabinets are a must please call to confirm they will be included in your set.